Each came to dance on the ocean trying to beat the waves that only Mitchell could’ve created on a stage designed as a large living room. On the surface the upscale event at a fancy venue was larger than that – it was to gather musicians to tell a story or send a message that was straight out of the tradition of Woodstock – a festival Mitchell never attended but wrote the hit song about. She was so moved by the help and love shown of one another that she had to stop playing her own song the first few times she performed it in public because it deeply moved her. In one film clip a young Mitchell is talking to her audience about the difference of how a tourist acts as opposed to an audience member while explaining how hard it is to get up in front of everyone and tell your story then she turns and says to them, “I think you’re acting like a bunch of tourists right now, is what I’m saying.” Well, put and to-the-point. Mitchell is an indisputable major influence in the canon of thoughtful music of healing and resistance. James Taylor’s rendition of River was as personal as it was haunting and he’s always special to see. They all had something to offer. Chaka Khan brought her own energy – the kind that can blow up a universe. Could the show have been slicker – more dazzling? 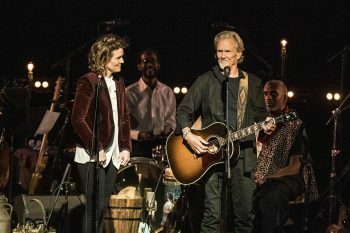 Yes – but then the placement of Brandi Carlile (whose beautiful voice paid the highest female tribute to Mitchell’s songs – in this writer’s opinion) alongside Kris Kristofferson in a duet was breathtakingly beautiful and oh so Joni. Humanity in actual time. It wasn’t perfect – it was real. Kristofferson has suffered his own health issues in recent years and when he came striding out with guitar in hand he looked over and said, “What key are we in, is it D?” Carlile deftly guided him into their rendition of A Case of You. 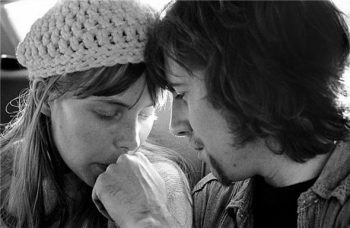 When Graham Nash sat down to play the only non-Mitchell song, Our House, he said, “I’m very happy with our house! (Referring to the elections outcome) before playing the very personal song he wrote for his then girlfriend. Those breaks in what seemed more of a jam session than a professional tribute made the night both special and frustrating. Some singers would’ve benefited with a different Mitchell song but then her writing, vocal range and tonality weren’t to be mimicked. The artists were there to give their renditions. Co-musical directors, providing the musical arrangements for the evenings, are percussionist Brian Blade, who recorded three studio albums and toured extensively with Mitchell, and, pianist, composer, arranger producer Jon Cowherd. 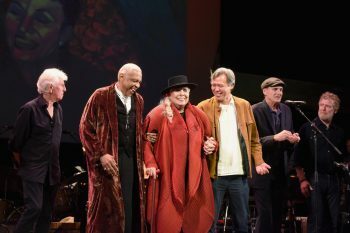 When the curtain raised for an encore the crowd screamed wildly as Mitchell stood at the edge of the stage in a long red coat, black hat and cane. 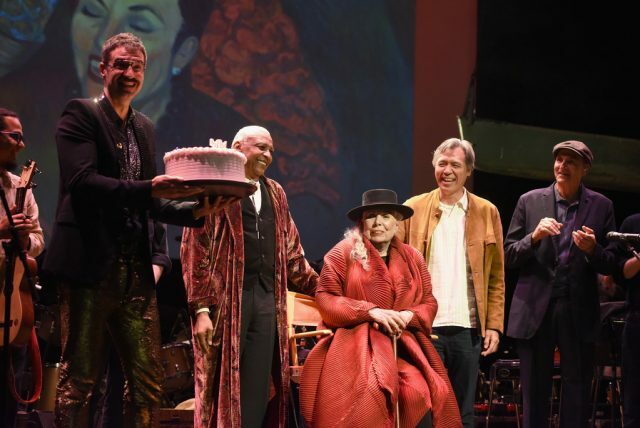 Mitchell sat and her cake was brought to her as she blew her candles out and swayed to the rhythm as all of the night’s musicians combined for 1970’s Big Yellow Taxi. Later in the evening, film director and Mitchell mega-fan Cameron Crowe presented her with the Music Center’s Excellence in the Performing Arts Award at a dinner gala whose guests included David Geffen, Lily Tomlin, Anjelica Huston and Tom Hanks. 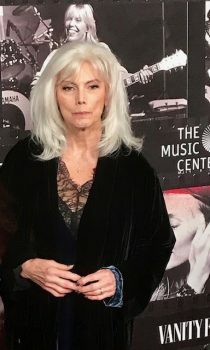 Funds from The Music Center’s Soiree: Joni 75 event will go to help various programs at the Music Center. I would say the woman was an old soul before she came into this world and we’re lucky to have her. An added night for a younger audience, especially those in the arts would’ve been the perfect coda. Previous articleThe Cleaners. The shocking truth about Freedom of Expression and Social Media. Eva-Marie hails from Steinbeck Country and has written since she was a girl. She's been published as a columnist, locally, nationally and internationally. Her work has been praised with certificates from two Mayors and one Sheriff in LA. 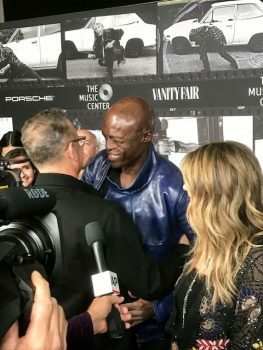 She raised awareness for many unknown non-profits to help get them going like, Leeza Gibbons Alzheimers org., late Wendie Jo Sperber's weSPARK, Ahead with Horses and more. She's done work as a writer/actor/advocate/activist/solo parent and more but likes humanist as a tag.